Busse design helped Unitrends create a coherent, easy to scan and highly customizable interface, that enabled their customers to grasp and act on data issues in real time. Unitrends increases uptime, productivity and confidence in a world in which IT professionals must do more with less. 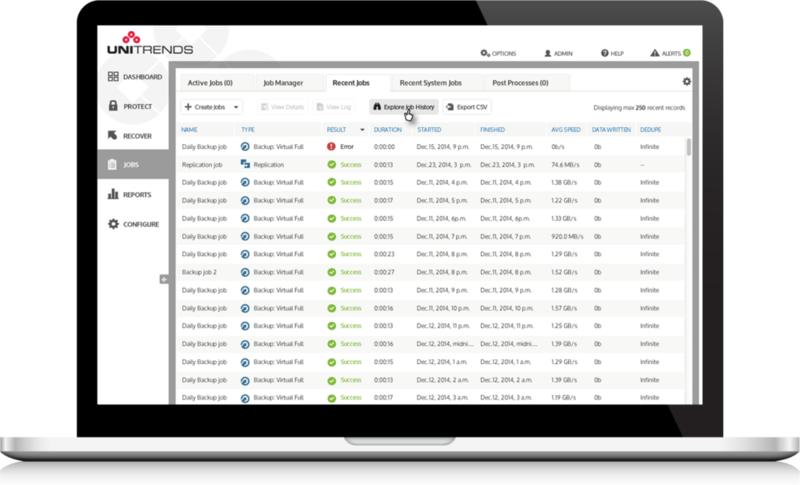 Unitrends leverages high-availability hardware and software engineering, cloud economics, enterprise power with consumer-grade design, and customer-obsessed support to natively provide all-in-one enterprise backup and continuity. The result is a “one throat to choke” set of offerings that allow our customers to focus on their business rather than backup.